Sometimes even the best laid plans go awry. 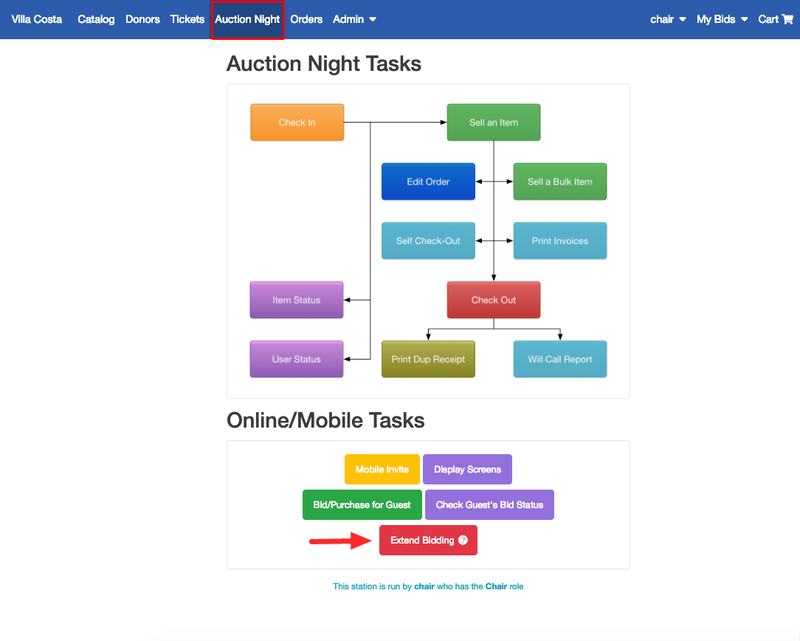 This new feature allows you to extend the online closing times of all your items by 10 minutes - with just two clicks - from the Auction Night Tasks screen. If Automatic Closeout is enabled on your site, clicking on the Extend Bidding button will immediately pause Closeout (awarding of items). 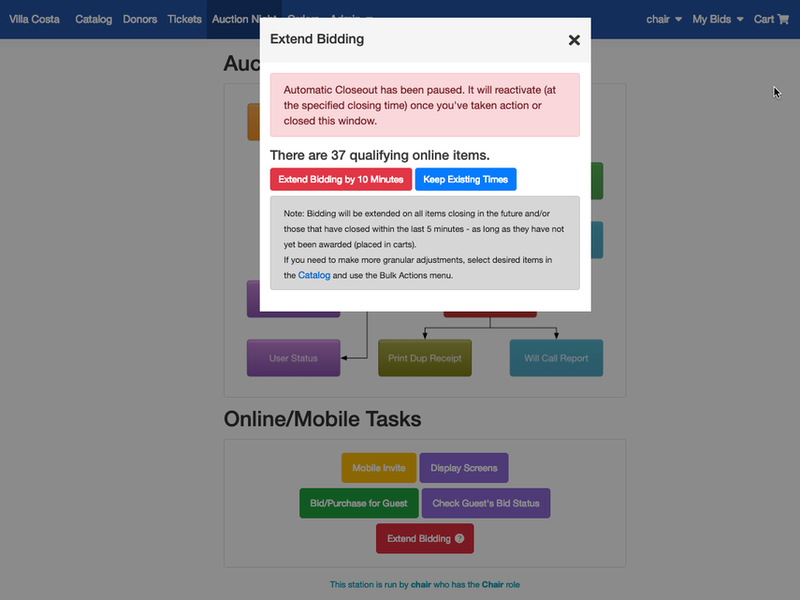 Click the red button to extend online bidding by 10 minutes on all open items AND any items that closed within the past 5 minutes which have not already been awarded. Click the blue button if you decide to keep the existing closing times on all items. If Automatic closeout was enabled and paused, it will reactivate once you've made your selection (or clicked on X to close the window). 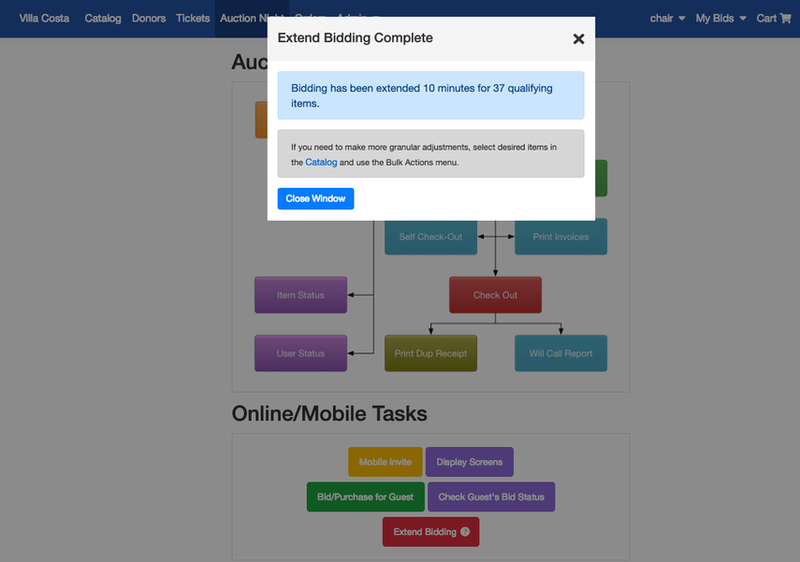 Once bidding has been extended, you will have time to use the bulk edit menu on the catalog page to edit closing times more specifically, if desired.